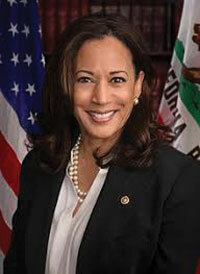 Senator Harris originally introduced the Ensuring Diverse Leadership Act during the 115th Congress. interviewed for each vacancy for the presidency of a reserve bank at each of the twelve reserve banks in the Fed (San Francisco, Boston, New York, Philadelphia, Cleveland, Richmond, Atlanta, Chicago, St. Louis, Minneapolis, Kansas City, and Dallas). Of the more than 130 individuals who have served as presidents of the twelve reserve banks, only 3 have been nonwhite.